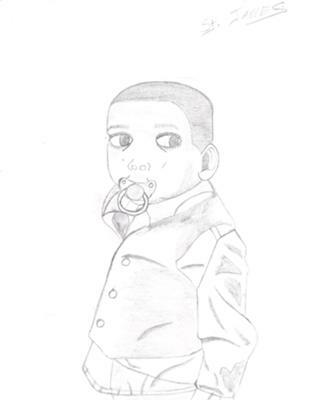 My drawing is bout my little nephew, Saint James. He is a energetic little child that can cheer up pretty much anyone. This picture is about St. James posing at a wedding. This was the first time i saw St. James in a vest and slacks. By drawing this picture, I can have it forever memorized in my mind and on paper.